"They stand on the surface of the Earth like trees exerting their silent pressure on the world as if there were no-one here." Landscaping is a job on its own. Maintaining a lawn, weeding a garden, trimming back tree branches...it all requires hard work and some knowledge as to the best approach. Sometimes though, there are stubborn aspects of it that doesn't seem to budge no matter how hard you try. 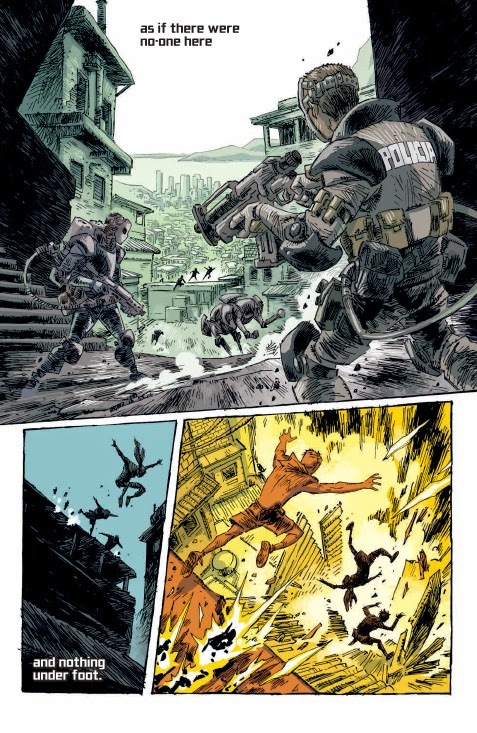 And in the case of Trees #1 from Image Comics, humanity quickly learns that some structures feature an amplified stubbornness that trees gain from their hearty roots. The issue is written by Warren Ellis, illustrated by Jason Howard and lettered by Fonografiks. It's been ten years since they landed all over the world and did nothing. The structures stand on the surface of the Earth like trees, acting like alien sentinels and generally disrupting life on the planet as its inhabitants previously knew it. They're arrival served as proof that there is intelligent life in the universe, but that they did not recognize us as intelligent or alive. 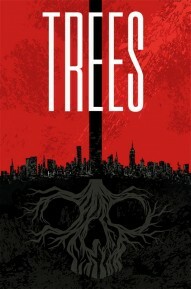 Trees #1 is a rather odd book; one that seems to reflect the influence of numerous other disaster scenario works. Ellis does a good job introducing the structures (trees as they're called) as these seemingly innocuous organisms that really just sit there. The expected defenses of Earth failed to have any effect, prompting what remained of civilization to rebuild cities around their presence. While the title would have one get caught up in the trees' arrival, Ellis really makes the book about so much more. He rather intelligently spins a tale of humanity adapting to their new situation, re-calibrating civilization in a way that accommodates the objects that can't really be moved. The lives of humanity are irrevocably shaped by the arrival of stoic monoliths that can't be attacked or reasoned with, forcing new civilizations to arise in their shadows. Considering the main "character" in Trees #1 are essentially large, inanimate objects, the fact that the surrounding world is depicted so vibrantly is a testament to Howard's talents. The world after their arrival still feels lived in and civilized to an extent, but Howard emphasizes the isolation caused by the trees through gutters devoid of color. There are some pages where the stark white is a little overwhelming, yet it does underscore the concept that much of the world has retreated into itself as a result of the invasion. 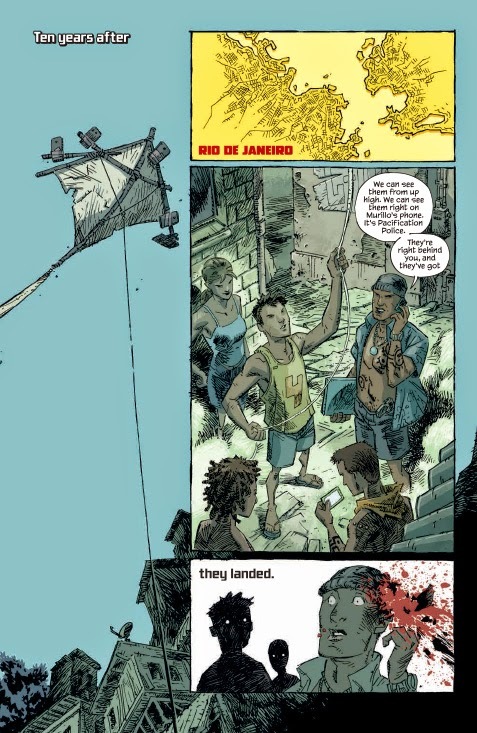 There are four defined locales in the first issue and Howard ensures that each is distinguished from the others through something an introduction panel, showing the reader where the story is traveling next. 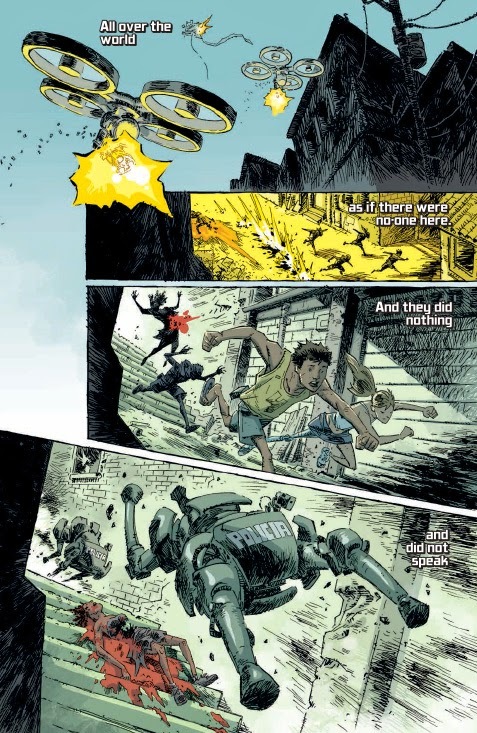 Comics are certainly no stranger to alien invasions, threats to the survival of humanity or doomsday scenarios. What makes Trees #1 stand out though is its insistence to be more about the human reaction to the event, as opposed to the event itself. One of best things about The Walking Dead is that the title more likely applies to the survivors as opposed to the walkers themselves, which makes for very compelling reading and is something Trees #1 shares to some extent. Ellis's tale is more about how the world reacts to a force that can't really be reckoned with than about the force itself. The disparate themes of solidarity and every man for himself/isolation are illustrated brilliantly by Howard, who offers up a style that fits the book's themes very well. Trees #1 is a thought-provoking book that definitely asks a lot of questions with little in the way of answers, but it's expected those answers will be provided in due time. Trees #1 is available now with interiors below.